The acid test for an assembly of believers gathered in the community of humanity that validates that God is in the midst of His people is not the gifts of the Spirit in operation, rather, His presence is best understood and validated by the Fruit of the Spirit in operation with grace and truth evidenced in the life of believers while they are assembled and in their daily living of life. In much of the assembling that is called "church" the emphasis is placed on the power gifts to validate the programmed production. Though in the presence of God there may be gifts of the Spirit in operation to meet needs of people, inordinate emphasis on programs and production can be and is, manipulated by the star performers to validate "their ministry performance" as being of God. This has led to the deception of many in their validating the work of man as e work of God. I am convinced that the production that God desires in the life of believers is fruit bearing that is enabled by the Fruit of the Spirit and manifested in the daily living of believers as the community of the redeemed. The Gospel is not based on the needs of people and the commands of "Men of God" commanding God to perform miracles to meet those needs. When done God's way, ministry flows out of an inward supply of the Spirit evidenced by the fruit of the Spirit in operation and not merely power gifts in operation in response to needs and the commands of performers. The community of the redeemed is more about relationship ministry than production ministry. Why? Because He values you more than your performance as evidenced in the following scripture. God values relationship ministry with Him more than production performance ministry for Him! “Not forsaking the assembling of ourselves together" (Hebrews 10:25), is a common verse cited by Christians who believe that if you're not attending weekly meetings or plugged in a church denomination that you are somehow out of sync with Scripture and, for all practical purposes, "backsliding". Some refer to the out of church crowd as rebels, or the walking wounded and this verse is often given as the prescription. But is "attending church" really what the author of Hebrews had in mind here? YES THE BIBLE SAY’S NOT TO FORSAKE THE ASSEMBLING TOGETHER? NOTICE IT DOES NOT SAY DO NOT FORSAKE THE "ASSEMBLY" OR CHURCH BUILDING. Came across this on the net, no author cited to give the credit to. Whoever he or she was...did an excellent job! Judge: Mr. Jones you have been charged with multiple counts of extortion. Your crime spree covers 20 years and thousands of victims. You have defrauded people out of their money with fear and manipulation, telling them they had to tithe 10% of their income to your church and that God would bless them if they did. 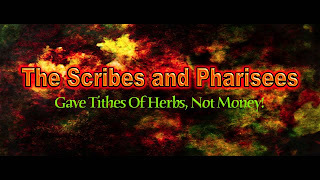 You also told them that if they didn't tithe God would curse them. How do you plead? Mr. Jones: I plead not guilty your Honor, I have done nothing wrong. I have only preached what the Bible says. In the Bible Abraham tithed to Melchizedek and God blessed him for his faithful giving. The Bible even says he was rich in silver and gold. Judge: Is it not true, Mr. Jones, that in Genesis chapter 13 verse 2 the Bible says Abraham was rich with livestock, silver and gold? A Bloggers Take on "Sinners in the Hands of an Angry God" and "Hell". Now, a bit of clarification: Edwards is not referring to God when he speaks of the “believing father in Heaven”. Rather, he is speaking an earthly father who enters Heaven, while His children are sentenced to an eternity in Hell. One would assume that Edwards’ answer to this question would be something akin to, “Nay! And a thousand times nay!”.